Jane Wairimu, a hypertensive client with Charles Waweru, a community health volunteer assigned to Healthy Heart Africa in Kirinyaga, Kenya. Since she lives in Kirinyaga, an area where malaria is likely to occur, Wairimu did not consider that her malaria diagnosis might be a misdiagnosis. “I had malaria before and the symptoms felt exactly the same,” Wairimu says. However, due to the persistent nature of her illness, her son, who had listened to a health talk on hypertension by a Healthy Heart Africa (HHA) community health volunteer, recommended that Jane get her blood pressure checked. The test revealed a very high reading and she was immediately referred to Kimbimbi Hospital for treatment. Hypertension, or high blood pressure, is a major risk factor for cardiovascular disease, and indicates an increased risk of heart attack, heart failure, stroke and other complications. In Kenya alone, 44.5% of adults have raised blood pressure—one of the highest prevalence rates across Africa. The HHA program, funded by AstraZeneca, seeks to increase Kenyans’ awareness of the symptoms and risks of hypertension by offering education, screening, reduced-cost treatment and the means to control it. The HHA program in Kenya, led by Jhpiego, is working with community health volunteers to provide access to screening and treatment to as many people as possible. Together with the Ministry of Health, Jhpiego has developed high-quality job aids and training packages to ensure that a full cadre of health care providers are able to provide care on blood pressure management. As a result, more than 450,000 clients have been reached with messages of risk factors associated with hypertension in Kirinyaga and Kiambu Counties. Out of the 450,000, more than 370,000 have been screened by HHA for blood pressure. Charles Waweru, a community health care volunteer under HHA in Kirinyaga County says that in his community more people than ever are aware of hypertension. 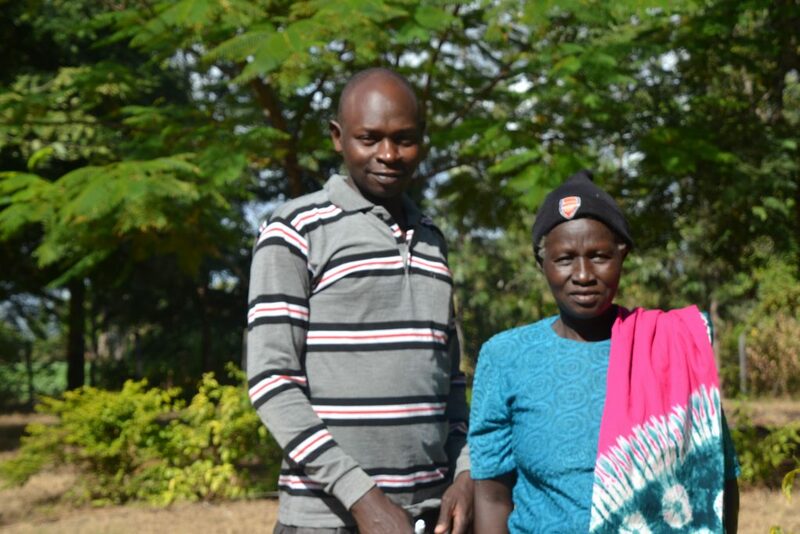 Waweru, who almost lost his wife to hypertension, says that when he started working with HHA there was a reluctance by patients to seek treatment. “The problem is that people do not fear what they cannot see,” Waweru says. He recalls a month in the early days when he referred 70 patients for screening at Kimbimbi Hospital. “When I went to follow up with the hospital they informed me that only 22 patients had actually sought treatment. It broke my heart because I know how serious this illness is,” Waweru says. Since then, the situation has greatly improved. Out of the 370,000 people who have been screened for blood pressure to date, 72,000 were found to have elevated blood pressure and more than 35,000—including Jane Wairimu—accessed lifesaving treatment for hypertension. Working with community health volunteers has ensured that blood pressure assessments are not limited to health facilities and that patients do not slip through the cracks.